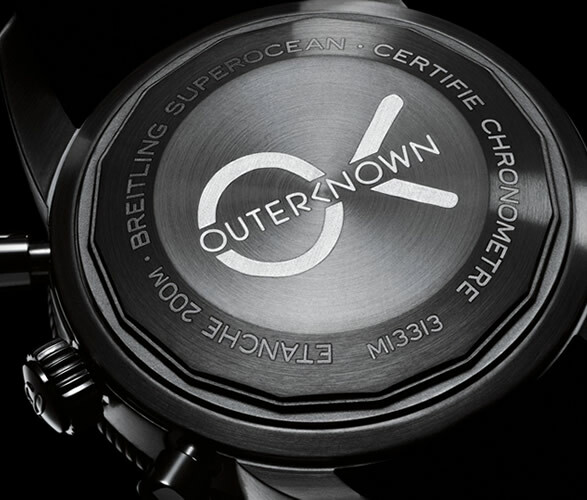 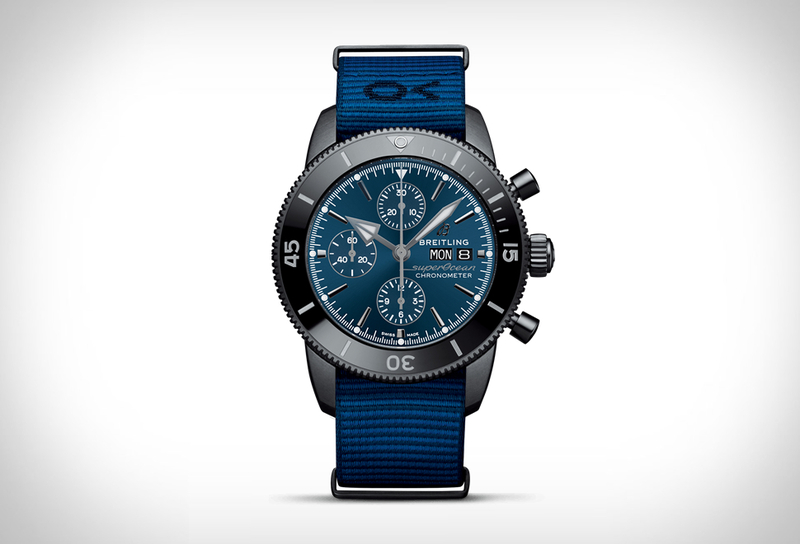 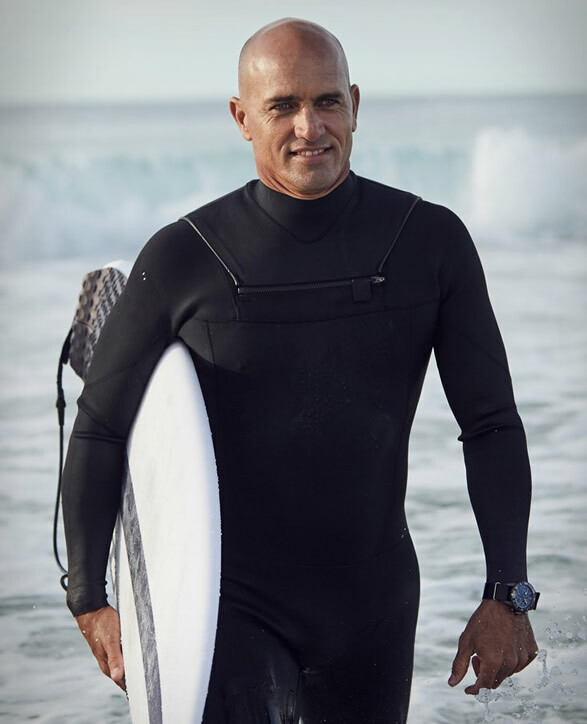 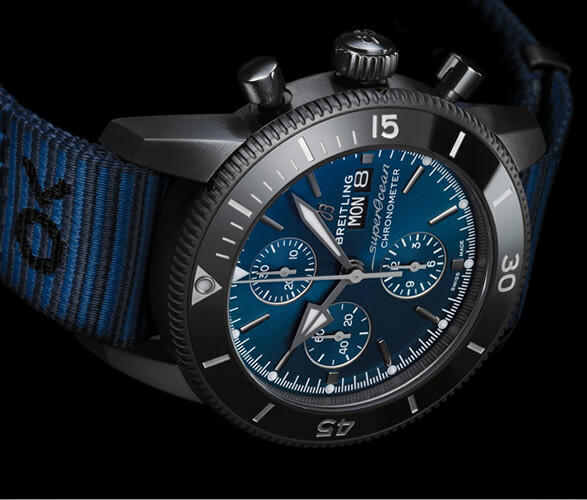 The Breitling X Outerknown Superocean Chronograph Watch is yet another option of this world famous Swiss brand that takes watchmaking seriously, this time partnering up with Outerknown, the clothing brand founded by surfing legend Kelly Slater whose mission is to provide style with an eco conscience. 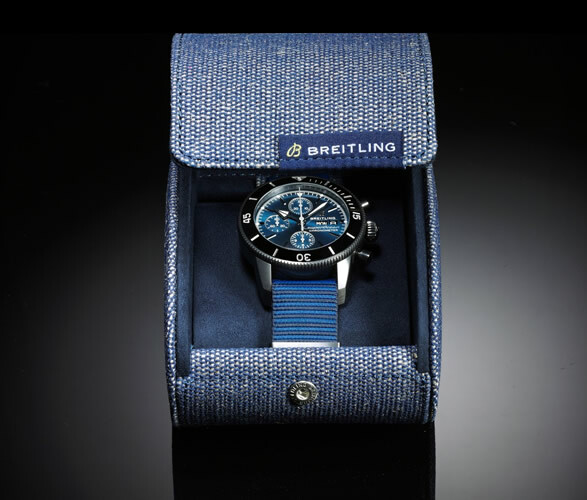 The model in question blends style and ruggedness in a balanced fashion, its light navy blue dial with a luminescent central dot at the 12th hour position along with the ultra cool recycled yarn NATO strap makes it unique giving it a more informal statement. 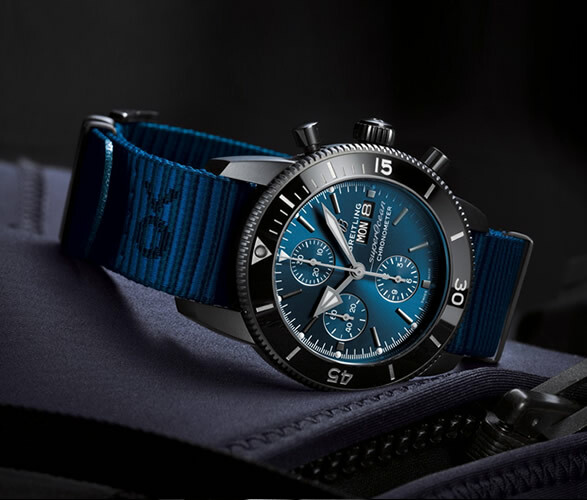 The movement on the watch is the well known and ultra reliable Caliber 13 automatic, with chronograph functionality and up to 43 hours of power reserve.